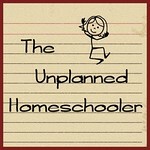 Google The Unplanned Homeschooler: Are your homeschool techniques keeping up with technology? Are your homeschool techniques keeping up with technology? My kids love Minecraft! I do, too. We play together often as a family, and my son researches new tips and techniques on YouTube and other sites to improve our worlds. He's recently talked about wanting to learn coding, so he can work on developing games on his own. I think he should go for it. A photo from my tutorial on how to easily find diamonds on Minecraft. Our kids live and learn in a world of advancing technology. They eagerly seek knowledge that is relevant to them, and utilize devices and resources online that most likely pave the way to their future careers. But are we, as their teachers, keeping up? "The change we are seeing with kids is the greatest change we’ve seen in a generation of children since the war. This is the generation of kids that is going to change everything. They are going to create. They are going to destroy. "For the first time in our society’s history, we’re being presented with a generation of kids capable of exceeding our abilities while they are still kids. The reason Minecraft exploded was it allowed kids to create: it gave them the tools and empowered them. As a society, we are woefully under-prepared for this generation, I think. "Now imagine what that is going to be like in five years time. It will be the new generation of kids, but it’s probably going to be the same teachers. How are we going to deal with that?" 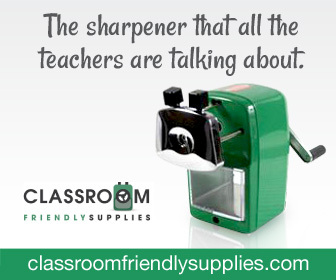 It's important that we continually evolve and adapt our methods as teachers. What worked for us a generation ago isn't necessarily what will work best for our kids, and what's best for them today might not be in another year or two. This year, a bunch of kids in my homeschool group are starting a Minecraft club, with the goal of creating a historically accurate replica of a Civil War era site. I'm volunteering to mentor them, but in truth, they already know more than I do about the technological side of the project, and probably will learn much more as they go. I'm excited, though, because we'll be using the technology they love in order to study history, geometry, architecture, writing, and more. How are your kids using technology in their educational pursuits? Are you working to keep up?